Hotcakes Commerce is an amazing enterprise-ready open source e-commerce solution for businesses that need to grow to the next level. Why would you simply trust that to a web host? Upendo Ventures is the official Cloud provider for Hotcakes Commerce. Our team has been leading the product almost since it first launched. Who else should you sooner trust your online store? This is a managed service and not a "hosting plan." Cloud plans are sold as a monthly subscription and service, where you are provided with your own website environment in our managed Cloud. In addition to not having to worry about where and how your Hotcakes are hosted, customers of this product will receive the following benefits. Once you complete your purchase, we’ll contact you shortly to make sure you’re up and running as efficiently as possible. 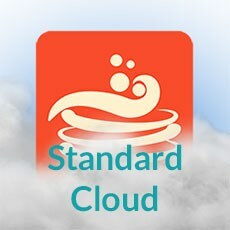 The Cloud plan is priced per store front. You can have an unlimited number of stores on your site, but must purchase additional Cloud instances for each additional storefront. *** Additional storefronts require additional Cloud plan fees.